Summary: Extra virgin olive oil can reduce neuroinflammation and activates autophagy, helping to protect memories and stave off dementia, a new study reports. The Mediterranean diet, rich in plant-based foods, is associated with a variety of health benefits, including a lower incidence of dementia. Now, researchers at the Lewis Katz School of Medicine at Temple University (LKSOM) have identified a specific ingredient that protects against cognitive decline: extra-virgin olive oil, a major component of the Mediterranean diet. In a study published online June 21 in the Annals of Clinical and Translational Neurology, the researchers show that the consumption of extra-virgin olive oil protects memory and learning ability and reduces the formation of amyloid-beta plaques and neurofibrillary tangles in the brain — classic markers of Alzheimer’s disease. The Temple team also identified the mechanisms underlying the protective effects of extra-virgin olive oil. “We found that olive oil reduces brain inflammation but most importantly activates a process known as autophagy,” explained senior investigator Domenico Praticò, MD, Professor in the Departments of Pharmacology and Microbiology and the Center for Translational Medicine at LKSOM. Autophagy is the process by which cells break down and clear out intracellular debris and toxins, such as amyloid plaques and tau tangles. “Brain cells from mice fed diets enriched with extra-virgin olive oil had higher levels of autophagy and reduced levels of amyloid plaques and phosphorylated tau,” Dr. Praticò said. The latter substance, phosphorylated tau, is responsible for neurofibrillary tangles, which are suspected of contributing to the nerve cell dysfunction in the brain that is responsible for Alzheimer’s memory symptoms. Previous studies have suggested that the widespread use of extra-virgin olive oil in the diets of people living in the Mediterranean areas is largely responsible for the many health benefits linked to the Mediterranean diet. “The thinking is that extra-virgin olive oil is better than fruits and vegetables alone, and as a monounsaturated vegetable fat it is healthier than saturated animal fats,” according to Dr. Praticò. In order to investigate the relationship between extra-virgin olive oil and dementia, Dr. Praticò and colleagues used a well-established Alzheimer’s disease mouse model. Known as a triple transgenic model, the animals develop three key characteristics of the disease: memory impairment, amyloid plagues, and neurofibrillary tangles. The researchers divided the animals into two groups, one that received a chow diet enriched with extra-virgin olive oil and one that received the regular chow diet without it. The olive oil was introduced into the diet when the mice were six months old, before symptoms of Alzheimer’s disease begin to emerge in the animal model. In overall appearance, there was no difference between the two groups of animals. However, at age 9 months and 12 months, mice on the extra virgin olive oil-enriched diet performed significantly better on tests designed to evaluate working memory, spatial memory, and learning abilities. Studies of brain tissue from both groups of mice revealed dramatic differences in nerve cell appearance and function. “One thing that stood out immediately was synaptic integrity,” Dr. Praticò said. The integrity of the connections between neurons, known as synapses, were preserved in animals on the extra-virgin olive oil diet. In addition, compared to mice on a regular diet, brain cells from animals in the olive oil group showed a dramatic increase in nerve cell autophagy activation, which was ultimately responsible for the reduction in levels of amyloid plaques and phosphorylated tau. 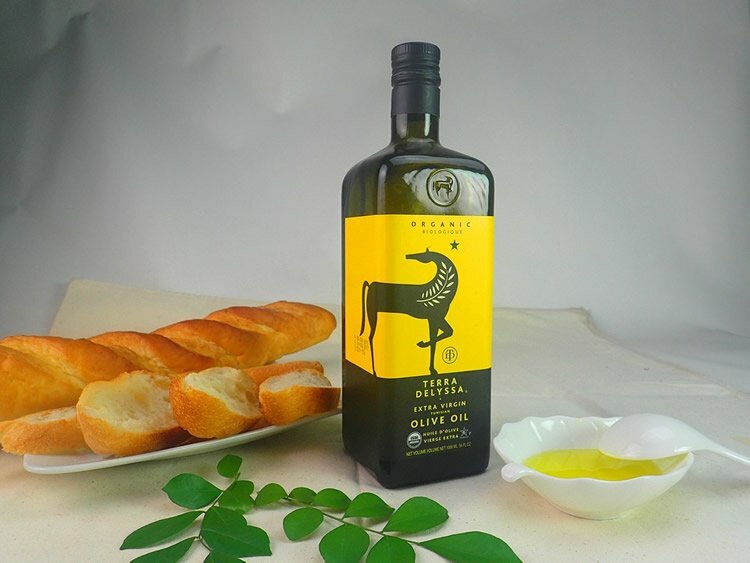 Previous studies have suggested that the widespread use of extra-virgin olive oil in the diets of people living in the Mediterranean areas is largely responsible for the many health benefits linked to the Mediterranean diet. NeuroscienceNews.com image is for illustrative purposes only. Other investigators contributing to the new study include Elisabetta Lauretti, a graduate student in Dr. Pratico’s laboratory at LKSOM; and Luigi Iuliano, a Professor of Medicine in the Department of Medical Sciences and Biotechnology, Sapienza University of Roma, Italy. Funding: The research was funded in part by a grant from the Wanda Simone Endowment for Neuroscience. Temple University “Extra Virgin Olive Oil Preserves Memory and Protects Brain Against Alzheimer’s.” NeuroscienceNews. NeuroscienceNews, 21 June 2017. Temple University “Extra Virgin Olive Oil Preserves Memory and Protects Brain Against Alzheimer’s.” http://neurosciencenews.com/olive-oil-memory-alzheimers-6948/ (accessed June 21, 2017). Consumption of extra virgin olive oil (EVOO), a major component of the Mediterranean diet, has been associated with reduced incidence of Alzheimer’s disease (AD). However, the mechanisms involved in this protective action remain to be fully elucidated. Herein, we investigated the effect of daily consumption of EVOO on the AD-like phenotype of a mouse mode of the disease with plaques and tangles. Triple transgenic mice (3xTg) received either regular chow or a chow diet supplemented with EVOO starting at 6 months of age for 6 months, then assessed for the effect of the diet on the AD-like neuropathology and behavioral changes. Compared with controls, mice receiving the EVOO-rich diet had an amelioration of their behavioral deficits, and a significant increase in the steady state levels of synaptophysin, a protein marker of synaptic integrity. In addition, they had a significant reduction in insoluble Aβ peptide levels and deposition, lower amount of phosphorylated tau protein at specific epitopes, which were secondary to an activation of cell autophagy. Taken together, our findings support a beneficial effect of EVOO consumption on all major features of the AD phenotype (behavioral deficits, synaptic pathology, Aβ and tau neuropathology), and demonstrate that autophagy activation is the mechanism underlying these biological actions. Olive oil is good for you, but we don’t need to shock mice, as was done in a recent study from Temple University professor Domenico Praticó. In the experiments, mice, who were genetically engineered to have a degenerative disease that looks like, but isn’t, Alzheimer’s disease (AD), were given electric shocks, and made to perform confusing and stressful tasks. There is a lot wrong with this picture. First, the inability of mice to serve as surrogates for humans with AD is well known. For AD research, the clinical failure rate for new drugs is 99.6 percent and there have been no new discoveries aimed at slowing the progression of the disease for 10 years. The poor translation of mouse models is thought to be a primary factor contributing to lack of progress in the field. Third, the experiments were just plain cruel. Vulnerable mice were put into strange new chambers with electrified floors and shocked repeatedly. In other experiments, mice, who don’t prefer to swim, were put into large vats of water and made to swim until they could finally find a raised platform on which to rest. Fourth, and importantly, why study in mice what epidemiological research on humans has shown for years? The authors admit that, “Epidemiological and clinical studies have consistently indicated that higher adherence to the Mediterranean diet is associated with a reduced risk of developing mild cognitive impairment and AD, and a reduced risk of progressing from mild cognitive impairment to AD” [emphasis added]. Did we really need to shock and stress mice to find that out? Mestas J, Hughes CCW (2004). Of Mice and Not Men: Differences between Mouse and Human Immunology. The Journal of Immunology, 172, 2731-2738. Pistollato F, et al. (2016). Alzheimer disease research in the 21st century: past and current failures, new perspectives and funding opportunities. Oncotarget, 7(26), 38999-39016.